So what am I talking about when I say turn your website into an asset? Let me explain. Too many people treat their website as just another form of advertising. They treat it like the pile of business cards laying on their desk, or that stack of leaflets that never got passed out, the letter head that is filling the printer — and then there is the website. Well — it’s about time to change the way you think! Your website is more important than that and then some. I want you to start thinking of your website as an asset in your business. Now, it’s not going to go on your balance sheets, so don’t worry — you don’t have to talk to your accountant and you don’t have to scare the tax man. But you want to treat it as if it is an asset. If you own your building or your home, you are going to keep it in tip top shape. You will decorate every now and again. You will make a house a home. You will make it fit your purpose. If you want to create a gym in your home, you will convert a room, you will get all the gear you want, and you will make it just perfect for that particular purpose. Treat your website the exact same way. Keep it updated, keep it decorated, and make it look nice, so that when visitors come around and have a look at your website, they are saying, “Ooh! That’s nice. What a lovely website you have.”. Think of it in more terms like an asset. Now in the perpetual sales cycle, the website is the initial thing. It is the presence, it is your hub. Everything will come back to your website. People will look you up online. They might find you on Twitter, Facebook, or Linkedin. But I guarantee that from there, people are going to come to your website, so make sure that it is ready for them and that it is good and full of quality. Don’t just give it to some marketing company or kid straight out of college with a fancy Mac computer. YOU look after your website. Build it. Put stuff on your site that you will be proud of. It’s like putting photos out on your mantle at home. Put stuff in your website that you are proud of. Treat it more like that. I was in a Facebook group this morning and someone asked a question — “What type of WordPress Theme should I be looking for?” — and I added a comment to this thread. I said — “Avoid all free WordPress themes at all costs, mainly because most of them contain Malware.”. Same is with free games — and this is for anyone who doesn’t know this — the best way to get your computer infected is to let your kids download free games and play. Why would people make all that effort to put stuff in for free? Not all of them do that, but some do. It’s the same with website themes. I gave them a bunch of other things to look and and I told them to be safe, try using StudioPress which uses the Genesis theme, which is what we use here at Marketing for Owners. Now — this is the same with your business. If you had a shop, would you look for a free shop? It’s the equivalent of having a market store out in front of all those other stores. Would you place it around the back where no one could find you? No you wouldn’t. The most expensive shops out there tend to be in the downtown area. It’s the same with your business. If you are going to invest money in it, you’ll do better. If you neglect it, and don’t spend money on your site, it will show. When you walk down the street and look at the shops, you will spot the scruffy ones. Are you impressed? Would you go buy your clothes from that scruffy store? Probably not, unless they had a heck of a reputation and that’s different. But if they had a heck of a reputation and the shop was not scruffy, wouldn’t that be more profitable? It is the same with your website. 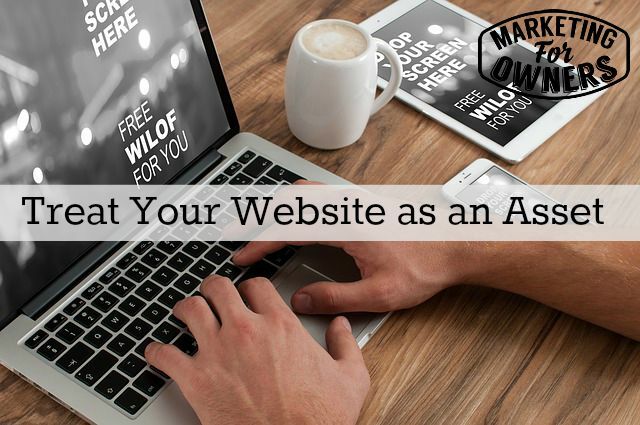 Think of your website as an asset. Oh — and someone else made a comment in that Facebook group and asked why they shouldn’t choose one of the free themes since there were plenty of perfectly good ones out there. I didn’t get to tell him at the moment, but while there are plenty of good free ones out there, there are also equal amounts that are hidden with malware. Unless you are a techie genius, you are not going to find them. Today’s podcast recommendation is hosted by Dan Miller. Dan has been around for a while with his 48 Day Podcast. His statement is — 48 days to the work you love. Dan has fantastic advice, and a lot of it is for career building. So if you are looking for his podcast on Itunes, you will find it listed in the careers department. You will also find it in the Top 50 Business podcasts as well. The reason for that is the advice he gives for setting yourself up for a career, is very similar to setting yourself up for business. He can prepare you for meetings with clients, and other things. It’s all about preparing business systems and going for your goals. Dan Miller is very wise and is a very smart guy. His show is a very professional show and he is pleasant to listen to. It is easy listening. I recommend that everyone stop and listen to Dan’s podcast. What do you need to do to get your website looking like it is one of your greatest assets?